We are nearing the last phase of our plan to address Panda, the Google search algorithm change that has hit HubPages. I’ve shared a number of major changes we’ve made in prior blog posts, but, to reiterate, we have been working on a plan to lift the punitive aspect of Panda from HubPages, where search engine rankings are being negatively impacted regardless of the quality of the Hub. Open publishing platforms like HubPages, by virtue of their openness, attract a wide range of content quality. As part of the Panda update, the presence of low quality Hubs has the ability to bring down rankings for all authors. As we work to remedy this and restore traffic to high-quality Hubs, we take all changes to HubPages very seriously and have great respect for HubPages’ authors. Many of you have expressed feedback about Panda, about the disruption and the changes we are making, and about how we are going about it – both good and bad. Our sole focus is to create the most rewarding place for people to publish online that focuses on earning an income by providing information and interesting content to those that seek it. We will emerge from this as a stronger community and thank all of you for the feedback and thoughts. Part of that feedback has been to be given a heads-up on the changes we plan to make, so keep reading for a recap and our next steps. Our plan has focused on four things to improve traffic to high-quality authors. First, we have improved quality on HubPages across the board by only allowing original content, we reduced the ratios of syndicated content to original, tripled the size of the moderating team to remove substandard content, and improved the type of sites we allow people to link to and promote. Even if weren’t for Panda, we believe these steps are an overall positive to the future for people that choose to participate on HubPages as they improve the overall experience with the site. Second, we have made architectural and other changes under the covers of HubPages to get rid of pages that may be construed as thin. These include noindexing pages like tag pages, forum posts and questions without responses, and implementing the rel=”author” tag. Third, we’ve spoken out against Panda’s effects on HubPages’ open platform compared to Google’s own properties, and we’ve reached out to Google in the official forums, and to Google employees directly. This effort has been fruitful in getting feedback on our overall plan. Our changes line up with the feedback we’ve been given from Google directly and their communication to us should allow us to better serve all of you. We are now going to start testing moving individual authors to subdomains (e.g. pauledmondson.hubpages.com). This is a major development effort that is underway. Putting authors on a subdomain clearly delineates between sets of Hubs by author, so one author’s Hubs won’t negatively impact another. Paul Deeds, Jay Reitz and Tim Martin are working as quickly as possible to prepare the test. We are shooting for the last week of June to start the test on the site. We have the infrastructure in place to evaluate the results and will then consider a broader roll-out. We expect Hubs to get reindexed on the subdomains over a period of several weeks. Ideally, high-quality Hubs will see an increase in rankings and traffic. We have evidence on a small scale that this is the case and that it warrants further testing and a site-wide rollout if results are promising. We are optimistic that the previous changes coupled with subdomains will allow high quality authors to prosper. We will report back on the changes as soon as we can evaluate them. We may be looking for a few participants to volunteer their accounts for testing. If you’re interested, leave a reply in the comments below (be sure to include your username). It’s been a bit since I posted an update on addressing Panda, so I wanted to let all of you know that we are still working aggressively on it; we are as concerned about this issue as you are, and are committed to finding a solution. Since the Panda update, we’ve been working around the clock and exploring every avenue and source of information. We have reached out to Google several times and have spent countless hours analyzing our data, running tests, and making modifications. Our entire goal is to lift the dampening effect on HubPages’ best authors, who are the people that create expert and enthusiast content that others on the Web enjoy. Google has specifically pointed us to this line: “low-quality content on some parts of a website can impact the whole site’s rankings.” Low quality has been defined very broadly. There isn’t a list that says which page is good and which one is bad. So, we have focused our efforts and have driven several policy changes on HubPages to help improve quality, while maintaining an open publishing environment. Doing so with a site as large as HubPages, with many diverse authors, has certain tradeoffs. While we desire to be as open as possible to all types of contributions, the current environment makes that challenging when one piece of content has the potential to depress other content. We have been committed to testing and modifying the editorial policy until a balance was struck. This is a very tricky business and like many things with search engines, the impact of a change isn’t seen right away. We have focused on changes that we believe are good for both authors and readers in the long run, and we can understand the frustration and concerns that some of our users have experienced as result of seeing the rules change. The web is a very dynamic environment that is changing quickly. At times it requires rapid adaptation and innovation. This is one of those times. We love getting all the emails asking what people can do to help. To those we say: keep creating great Hubs, making suggestions on how we can improve, flagging Hubs that aren’t up to our standards, and letting us know of changes you don’t agree with. While we don’t respond to every forum thread and email, we are constantly reading and listening. We, as a company, deeply value the opinions of HubPages’ authors. Going forward, we hope to limit editorial policy changes as much as possible. However, we will continue to run tests and make tweaks to improve the site. Most changes we’ve made you don’t see, like the hidden rel=”author” tag we’ve added to Hubs that designates the Hub’s author. Over the next few weeks we will run small tests on pieces of HubPages that work to lift the depression on high-quality content. Improving the experience for Hubbers and readers is our top consideration as we roll out any additional changes. We genuinely appreciate your patience as we work to get traffic to your high-quality Hubs, and are proud to count each one of you as members of our writing community. There has been a great deal of attention to changes to Google’s search algorithm and I know that many of you have been wondering about changes in Google traffic to your Hubs. As a community of writers that owns their own content, we know how invested each of you are in your corner of HubPages, especially when you’ve gone the extra mile to publish great Hubs. So far we haven’t seen this change consistently drive traffic to better-quality Hubs. On one hand, some of our best content has seen a drop in traffic; simultaneously, we have seen traffic rise on Hubs that are just as great. We are taking this seriously — behind the scenes, we have been crunching data and focusing on making sure that we are doing everything right from our side. We have an editorial policy and internal system that rewards original useful content, and this aligns with what Google wants, too. We have several internal quality metrics that make up HubScore and we have deeply analyzed things like content length, view duration, Hub Hopper ratings, and HubScore. These elements have been compared to changes in Google referrals, and again, based on the way we rate content quality, the fluctuation so far looks random at this stage of the update. We believe that a change of this size will take a settling-in period. We have reached out to Google and will continue to study the update. As part of our process, we strive to have the highest quality site, and to create the most rewarding place for people to publish online. We are all on the side of good content and we have no doubt that your great Hubs will rise again in traffic. There has been a significant update to the Google search results that we first noticed the evening of February 23. We have always believed that the only way to long term success is by creating useful high quality content. We also strongly believe in Google’s desire to have the best content rise to the top of search results. We believe that HubPages’ authors’ interests and Google’s are aligned and ultimately this update will create value to both of our audiences. Google has written about this update, and the media has covered it extensively as the entire online universe has been influenced. For those who are concerned that their high quality original content has seen significant changes, our recommendation is to be patient – good content has a history of returning to previous traffic levels after significant updates to search engine algorithms. Changes like this are an opportunity to be reminded that once things settle down, the cream of the content will rise to the top. As a site that’s always been squarely on the side of good writing, we are confident that our content will continue to do well on all search engines. As we learn more about the update, we will keep you informed. We get a ton of specific feedback from the HubPages community through the forums and sent to us directly. Posts often inform us of features people want and areas of the site that have bugs or aren’t working right. This feedback is tremendously important to how we plan the development work on HubPages. This weekend, I sent a short survey to the folks that work at HubPages HQ asking them a few quick questions about our company to help us improve our long term planning. Here are a few questions, that I’d love to have answered by our community members to help us with our longer term planning as well. 1. If you were to describe HubPages in less than twenty three words or a short sentence, how would you describe HP? 2. What does HubPages do that you really like? 3. 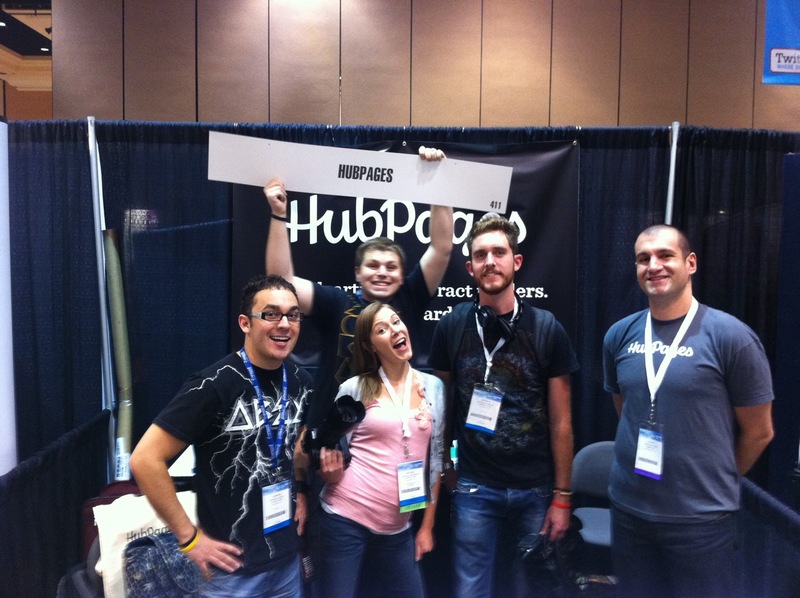 Where does HubPages have the most opportunity to improve? 4. Is there a missing feature or service as part of HubPages that you need to be successful? 5. Do you tell other people that you’re active on HubPages? Why or why not? Please leave your answers in the comment box below. Thank you so much for taking the time to answer these questions and helping us improve HubPages.